Tonight we met our friends Sara and Juan for a night on the town. Everything about the night was last minute – up to the restaurant choices. 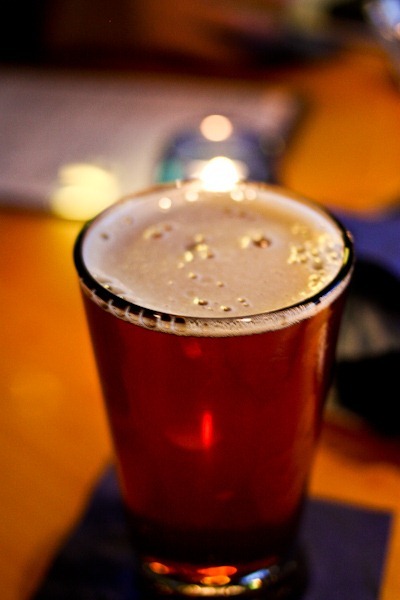 We had planned to meet for pizza + gelato, but our evening turned into a fabulous bar hop! 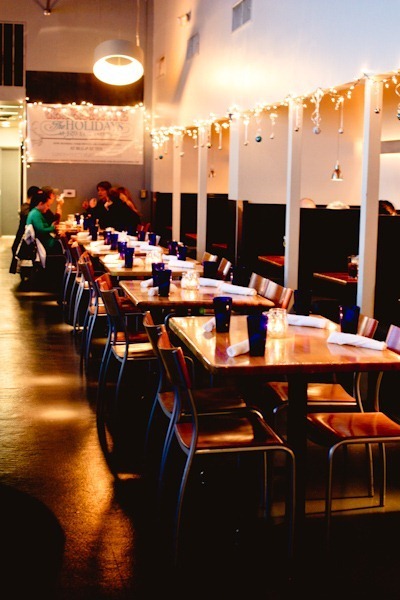 We started at Blue Light Grill, a swanky seafood-heavy restaurant with a great bar. See our previous visit from a visit to Cville in 2010 here! 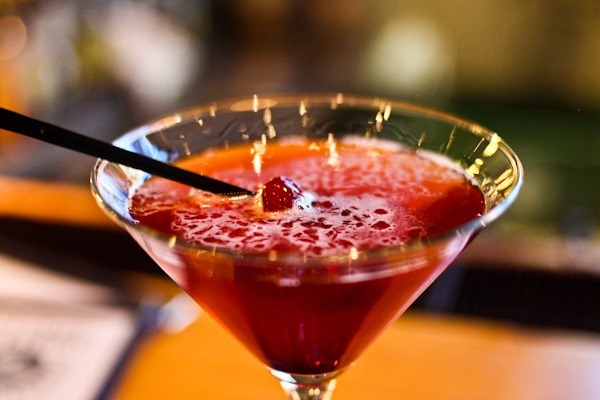 I sipped on a Manhattan – my signature drink – straight up. Although I should clarify that I don’t drink 100% classic Manhattans because I like them extra sweet (like my grandfather) but instead of a heavy sweet vermouth pour, I always ask for a little cherry juice. At Blue Light Grill, they only have tart cherries, so instead he added a little homemade pomegranate grenadine – and it was sooo good! 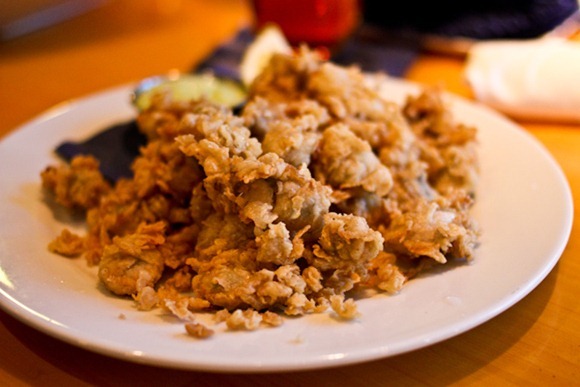 And Fried Oysters! Both were quite delicious on the palate. Hop #2 landed us at Positively 4th, another restaurant favorite of ours. See previous visits here and here! And the climax of the night was our dessert hop where I got that eggnog gelato I’ve been craving all week. Mixed in with the gingerbread flavor, which I loved at first but got too heavy on the ginger in my throat at the end. Luckily the lovely Splendora’s team noticed and offered me a taste of peppermint to clear my palate! The walk home was cold. Very very cold. In fact, I’m still wearing my down coat as I finish this post! Ooh I gotta go there next time I’m in Cville..like maybe next month? And eggnog gelato! You are so overdue for a visit! I KNOW! I said the exact thing to a friend today. 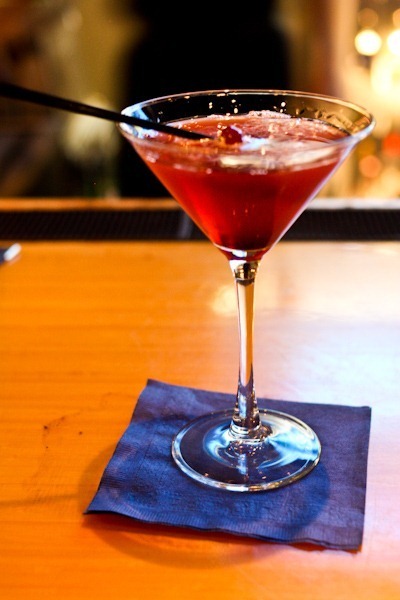 homemade pomegranate grenadine…right there, my night would have been complete. The queso dip, the salad with beets, candied nuts! 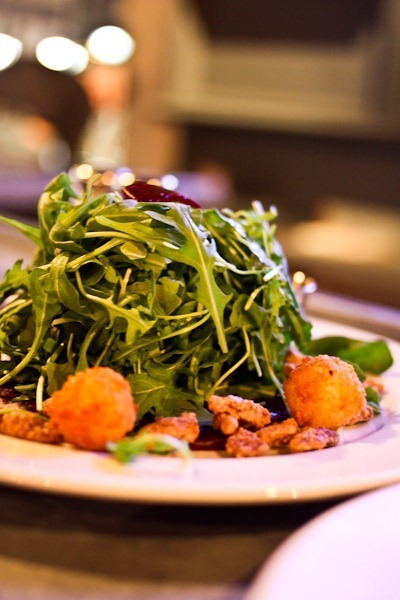 and goat cheese fritters…nice. moving on to eggnog ginger gelato. Cleansed with peppermint. I had mussels tonight too!!! 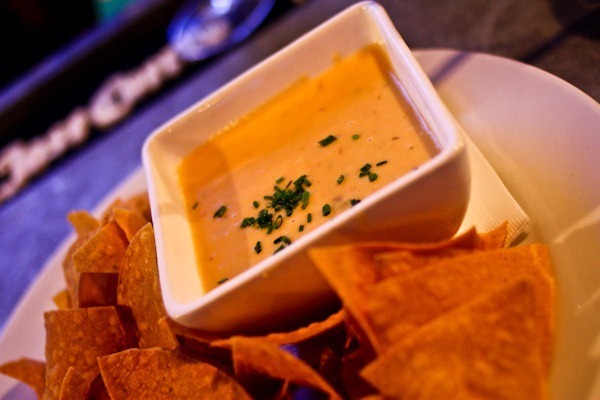 Mmmmm queso dip! I call it ‘crack dip’ cuz once I start eating it, I CANNOT STOP!!! Seriously it is cracckkkk! I love nights like that! I’m a big “taster” rather than just wanting one big serving of one thing. Sounds like a fun evening! Yummm, think I’ll have some too! Maybe blueberry…. What a delish looking night! I dont even like eggnog~ but i think id like it gelato style! YUM! 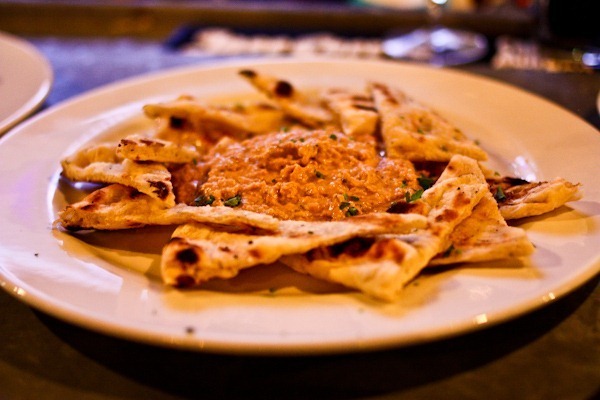 I love the idea of black-eye pea hummus! Must try that at home sometime! Eggnog+Gingerbread talk about holiday cheer! Sounds delish (and yeah definitely rich) yum. I wanted to make pancakes for breakfast but I woke up craving fruit, yogurt and cereal…the stomach wants what it wants! I hope they still have the eggnog flavor when I get back to Cville! It sounds fantastic. I had eggnog froyo today, which was awesome as well! Black-eyed pea hummus sounds awesome! Ooooohhhh, eggnog gelato! Sounds so good. I just can’t get with the eggnog love…that’s so sweet that they offered you peppermint! Yes, Sunday mornings were made for pancakes! Looks like fun! I bet the cold walk was colder after eating gelato! A night full of appetizers is much more fun than sitting down to just one meal! Those seasonal gelatos sound delicious too! oooh I’m loving all that food- almost like tapas style…my favorite! 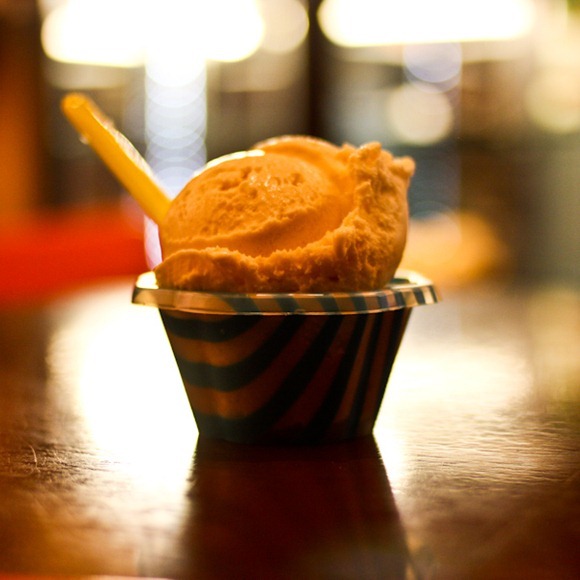 I haven’t craved ice cream all winter—until I read about this eggnog and gingerbread gelato. Yes, please! Everything looks delicious! 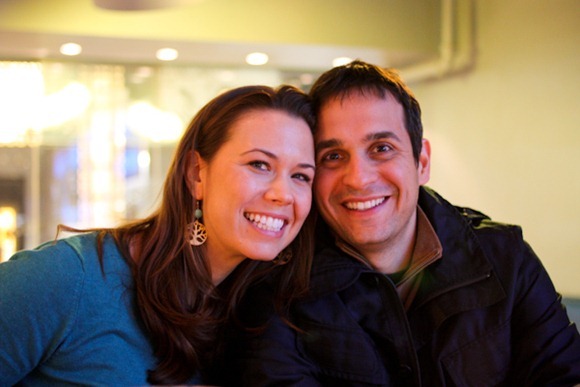 I love dining like that–moving from place to place! All that food looks amazing! 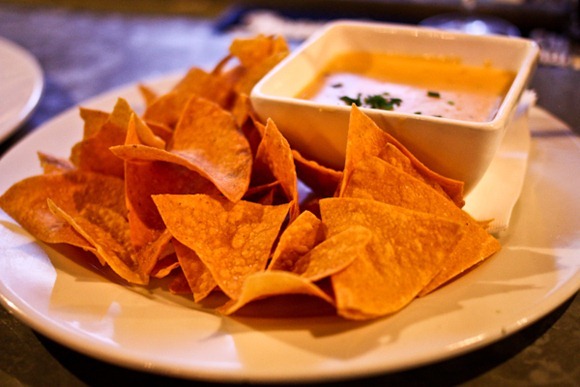 I love anything involving tortilla chips! Those appetizers all looked so good! 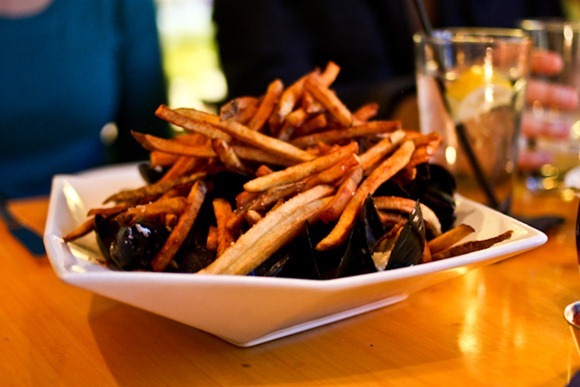 I’ve never seen mussels severed with fries before–how strange and delicious! Mussels…yum! Black eyed pea hummas sounds delish! I could really go for some peppermint gelato! I love everything peppermint! Peppermint hot chocolate warms me up! Those mussels look amazing! One of my favorite dishes to order OR to make. They’re so susprisingly healthy (minus the fries!). Mussels are so underrated! Yum!